Running an enterprise needs efforts but nothing as compared to starting it. With the throat cutting competition in the contemporary market, Innovation is a pre-requisite for anything to taste the fruit of success! Tackling along the hurdles on the way is another story. Today, we have such a personality with us who not only had a brilliant and inventive idea, but the courage and determination to materialize it in the finest way possible. Sahyujyah Shrinivas, the founder of LibeRent, measured a long way from being the girl with a dream to an inspirational lady in the ever competitive world. We got an opportunity to share a cup of coffee with her and converse about how she came up with the idea and weaved her path around it. LibeRent is a ‘Fashion on Rent’ service in India. For a country like India, it’s rather something unconventional and not so heard of a concept. So, we asked what inspired Sahyujyah to make her career choice in the segment and how Liberent came into being. During the interaction, we learnt that she is a metallurgical engineer by profession and managed to get into a big company, Tata Steel right after she completed her engineering in 2013. Within a year she left her job and started with LibeRent. 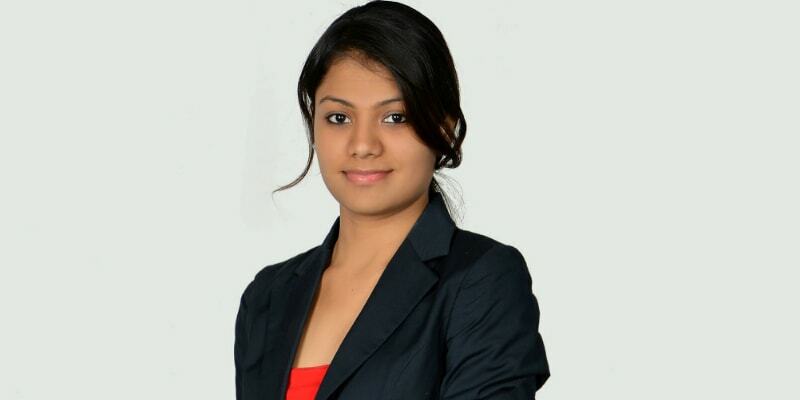 Abhishek More joined her in 2016 after working with companies like CA technologies and Turvo. So, after knowing about the people behind the venture, we moved on to the inspiration part and it’s as unique as the concept itself. Sahyujyah extracted the idea from a Hollywood movie right during her college days. In the movie, the actress buys clothes, wears them with the tag and returns it the next day. Inquisitive engineer in the making, Sahyujyah didn’t leave it there. She researched about it and found out that it’s becoming a trend in the west. She was already placed by then but the idea never left her. A year later a typical nine to five job, she secured her finances and started working to get in touch with designers and other relevant people. Soon enough, she went back home and started off renting clothes on a small level through Facebook. She was a one ‘woman’ army then. The delivery and everything was managed by her single-handedly. She proudly announces that LibeRent has come a long way since. Moreover, the rental period can be extended with a bit of extra charges where everything else including fitting, delivery, and pickups remain free of cost. Explaining the unique selling points (USPs) of the store, she mentions that the sizes are custom made according to given measurements and not just go by S, M, L on the site, no deposits are taken, and they are available on chat 24*7 to answer any queries. When we asked the kind of dresses they offer, we got quite an extensive list including dresses, lehengas, anarkalis, sarees, skirts, ethnic gowns, western gowns, accessories, etc. We were quite surprised to see a young entrepreneur managing everything with so much determination and inquisitiveness, we posed a question on why she decided to leave her job and start with an entirely new and unique concept? Her passion for entrepreneurship instantly reflected on her face as she explained it to us. Her constant feeling of being constrained and limited, thanks to our society, made her realize the need to break free and she found LibeRent to be a powerful source to do so. Further, she adds, “I’m a big believer in freedom. I believe renting gives freedom while owning bogs us down. So rental market fit my philosophy too. LibeRent means Liberation + Rent since we believe renting gives freedom. Also, our onsite chat is called Liri, meaning Freedom in Hebrew”. To know more about the working of the store, we showed interest in knowing the typical rental cycle for a particular garment. Explaining the mechanism, she told us that in Bangalore, women can place orders for events the same day or the next day. In Hyderabad, Chennai, Mumbai, Pune, women can place orders for events the next day night or anytime post that. In other cities, the enterprise needs a 2 days heads up before the event. The dress is delivered on the event date by noon if the order was placed too close to the event, but in general, it is delivered one day before the event date. Every outfit is steamed before shipping and after the event, it is collected back and sent to their organic dry cleaning partners. After discussing a lot about the business we moved to the other important perspective behind the existence and survival of the venture. Undeniably, India is a male dominated country and rising up of a women entrepreneur takes some courage along with all other things. We asked Sahyujyah Shrinivas about the struggles and challenges she faced while setting up and running the business. She chuckled and said she can go on and on about this. After a nostalgic throwback for a moment she got back to us and told us about the issues she had to face as an ambitious woman in the country. She explained the three chief problems she faced during the journey. The first was to break free from the middle-class conservative family environment and convincing her parents to quit a well-paying job and start something like this. Second, raising funds and meeting all the wrong people before the right ones. She also had to come across male egos that challenged and doubted her will and determination. Lastly, she mentioned her ongoing battle for establishing a place as a leader within the team and to others who are in some way related to LibeRent.